Andy Becker is a writer, gardener, and lifetime learner living in Gig Harbor with his wife Dina “LD” Fisher and their two dogs, Maya and Splash. Andy graduated from San Mateo High School in 1972 and from U.C. Berkeley in 1976. He spent one year abroad in Barcelona, Spain in 1974. Andy’s initial post graduate studies included working as a laborer while living in the Haight Ashbury. Later, he returned to the Peninsula and worked for the Belmont Water District repairing leaking water mains and flushing fire hydrants. In 1981 Andy attended the University of Puget Sound School of Law in Tacoma, Washington, graduating in 1984. There, Andy met his wife Dina and married in 1986. They have since resided in Gig Harbor. During their first years together Andy was often a frustrated gardener, beset by rocky soil, hills, too many surrounding trees, slugs, and deer. Despite these challenges, Andy has never failed to grow vegetable and flowers every spring and summer. Their current garden includes a 17’ by 6’ greenhouse, eight raised beds, a thirty yard vegetable bed next to their southern fence, and a forty yard stretch of raspberry vines next to their northern fence. Andy was a successful small town attorney who specialized in representing the little guy against insurance companies for over thirty years. Most recently he has limited his law practice to mediation and arbitration where he serves as a neutral and continues his association with the law firm that bears his name, Becker, Franklin, Rovang, PLLC, located in Port Orchard, WA, the county seat of Kitsap County, Washington. Andy and Dina’s children, Matt and Sam, live with their partners in Denver, Colorado. Matt is a neuroscientist and his partner Karly is a medical doctor. They have a cat named Turkey. Sam teaches fifth grade and his partner Sinjin teaches drama at a high school when he is not directing short films or community theater. Sam and Sinjin are aspiring dog owners. Andy was the third child of Leo and Blossom Becker and grew up in San Mateo, California. 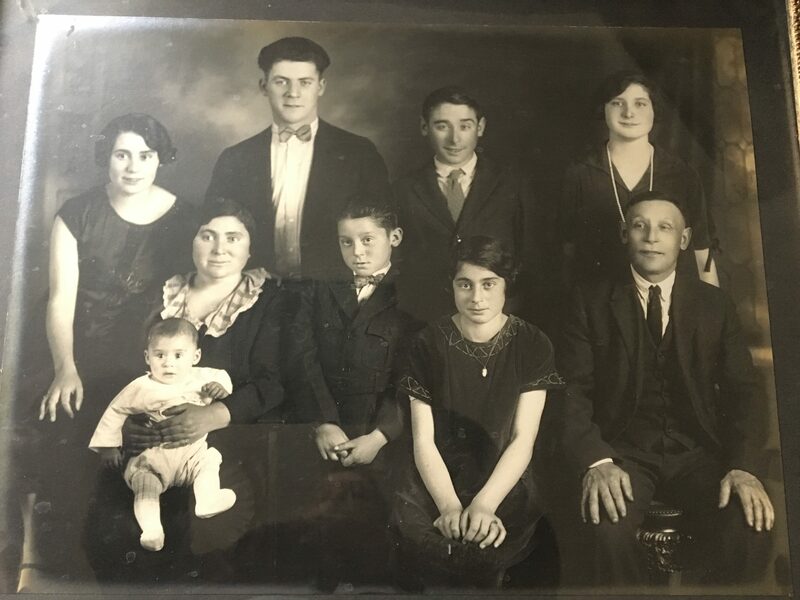 Leo grew up in Daly City, California, the youngest in a large family with immigrant parents who settled in California after leaving Vilna, White Russia. Leo’s father worked as a laborer and house painter. Blossom grew up in San Mateo. Her parents immigrated from Mordy and Warsaw, Poland. Her father was an egg rancher in Petuluma, California, and then moved to San Francisco where he worked as an upholsterer and became a furniture manufacturer. Andy grew up across the street from these grandparents. Andy authored stories drawn from his early childhood entitled, Cracking an Egg, soon to be published in 2019. 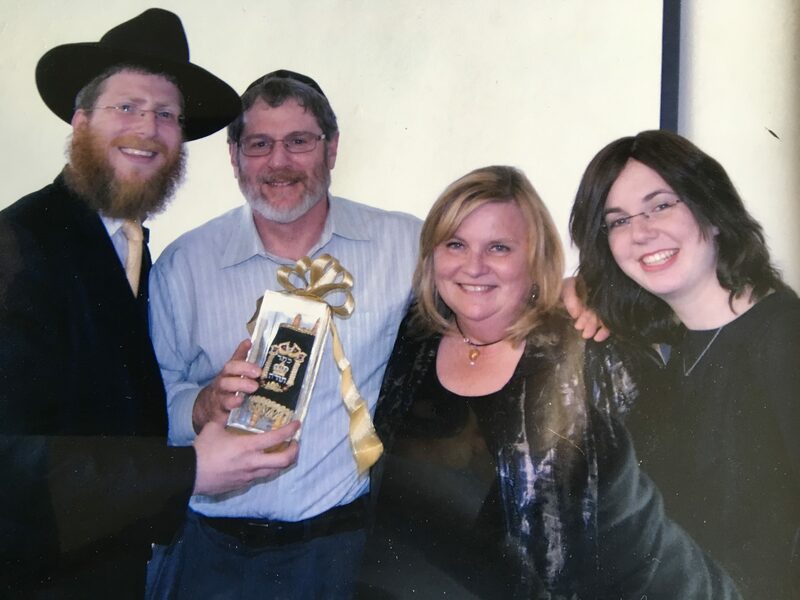 Andy enjoys a close relationship with Rabbi Zalman Heber and was a founding congregant who helped build a very welcoming and friendly Tacoma synagogue in 2012. There, Andy frequently gives a Shabbos spiel when the Rabbi is out of town on that week’s Sidra. Andy’s first book, Spiritual Gardener, draws on spiritual themes to inspire gardening and well-being. A Table of Contents, with themes for each chapter, and an excerpt from Chapter 1, Gan Edan is available by visiting the Spirtual Gardener page. The Old Catalpa has been accepted for publication by Greenprints, a quarterly magazine of gardening stories. Andy’s second book, Cracking an Egg, is a humorous and heartfelt look at early childhood experiences growing up in the 1950s and 60s. A story entitled Lessons is yours by clicking here.